Dr. Jose Picart serves as Professor of Education and Senior Faculty Fellow at the Friday Institute for Educational Innovation. 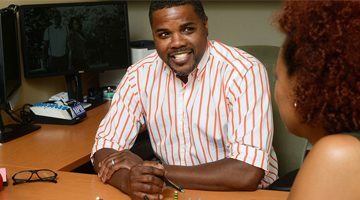 In this capacity, he leads several programs that seek to facilitate increased and focused community outreach and engagement by faculty, students and staff at North Carolina State University. He also serves as the Executive Director of The Wake Promise. The Wake Promise is a cross-sector community collaborative with the mission to increase the number of low-income youth in Wake County who earn a post-secondary credential. Dr. Jose Picart is a native of San Juan, Puerto Rico, and he completed his undergraduate degree at the United States Military Academy at West Point, where he majored in Engineering and Humanities. Following his graduation from West Point, Dr. Picart served his country as a commissioned military officer for 28 years, rising through various command and staff positions to the rank of Colonel. He earned his Master of Science and Doctoral degree in Experimental Cognitive Psychology from the University of Oklahoma in Norman. Following his distinguished service in the field Army, Dr. Picart served for over 16 years on the faculty in the Department of Behavioral Sciences and Leadership at the United States Military Academy, West Point, culminating with his appointment as the Director of Psychology Studies. In 1994, Dr. Picart was the recipient of a prestigious American Council on Education (ACE) Fellowship. He served his internship in higher education administration at the University of California in Santa Cruz. 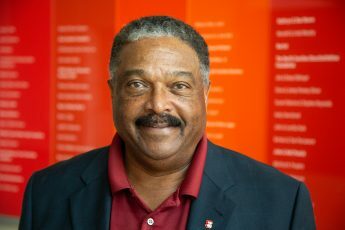 While at NC State, Dr. Picart has served in various senior leadership positions including the Vice Provost for Diversity and Inclusion, Interim Dean of the College of Education, and Vice Provost for Academic Programs and Services. Dr. Picart lives in Cary with his wife Susie and two dogs. Their daughter Emily and their son Aaron are graduates of NC State University.